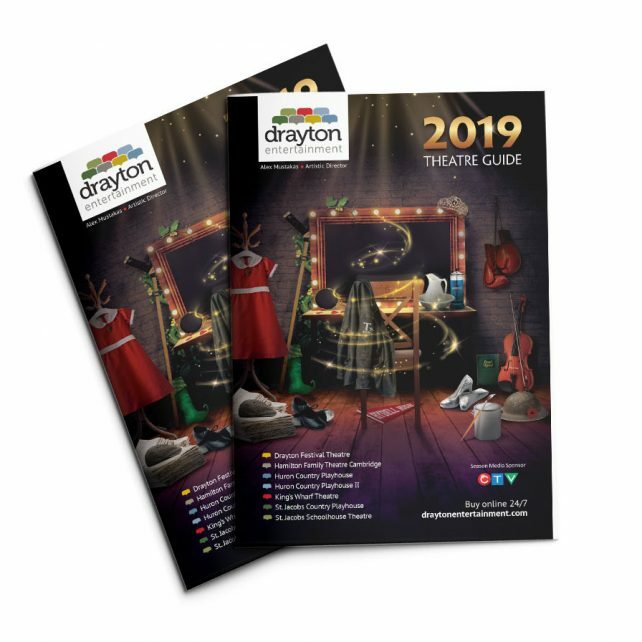 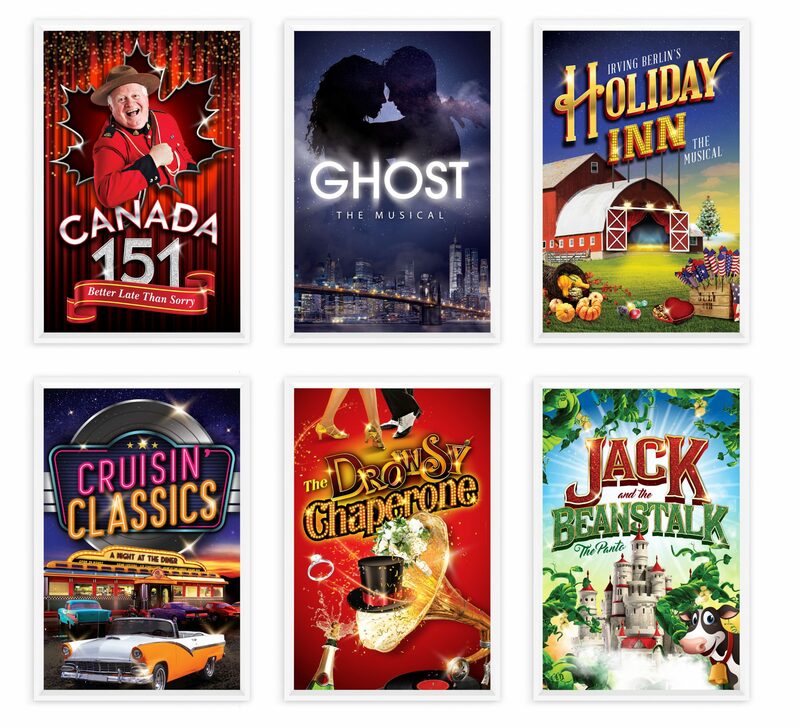 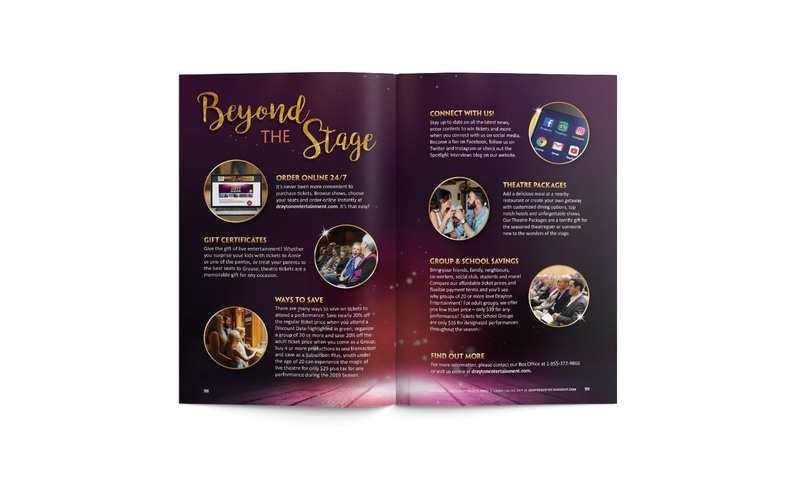 To create an exciting, easy to navigate entertainment guide and posters that capture the magic of live performances. 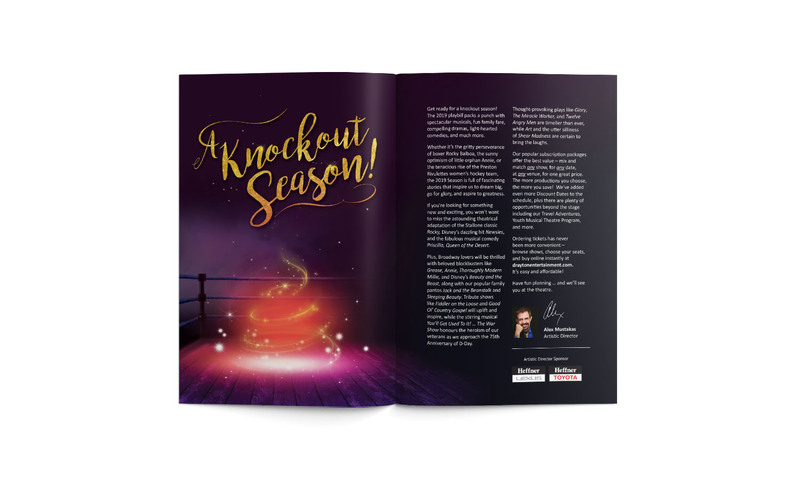 We introduced a new modern font family and beautiful spreads where elements of the show jump off the page and come to life. 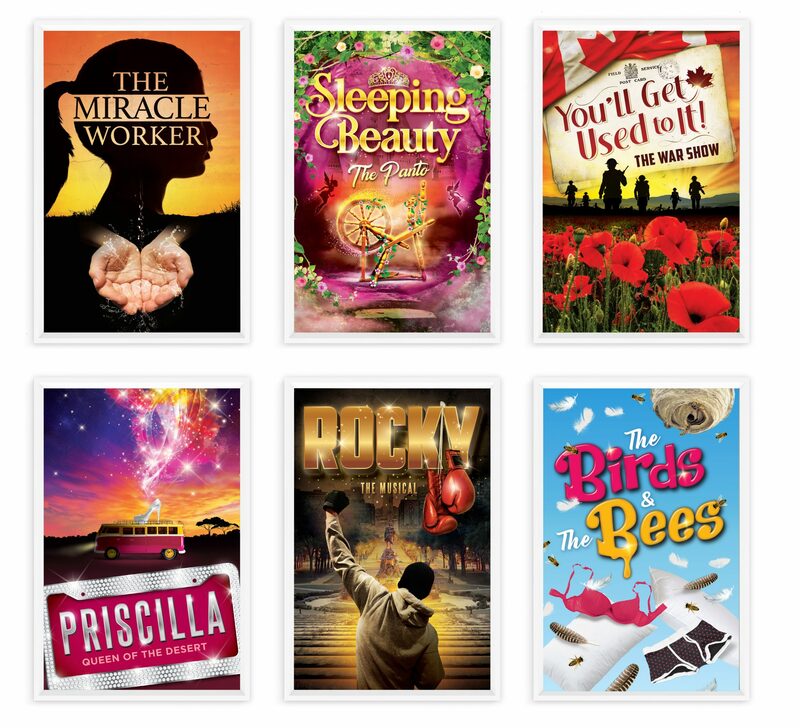 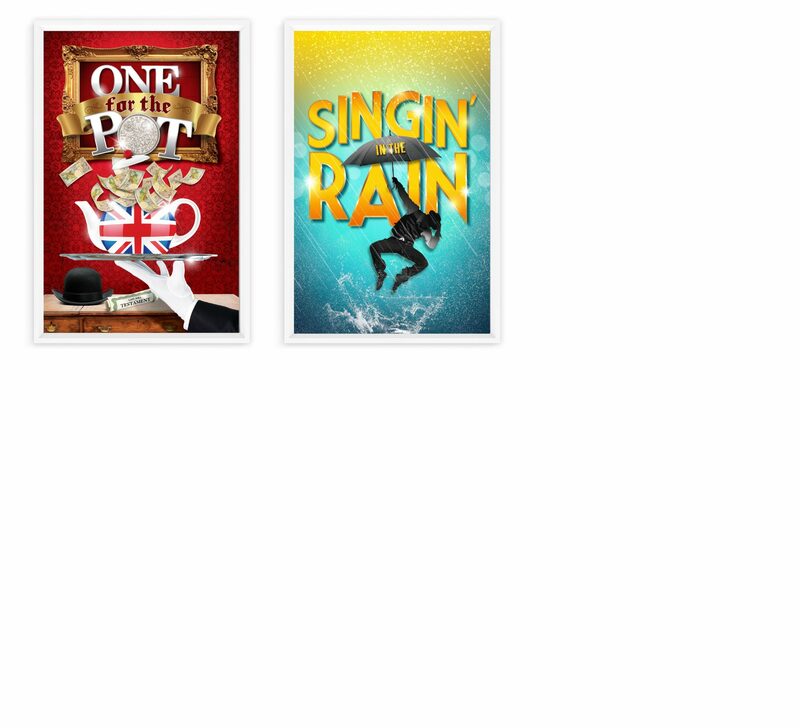 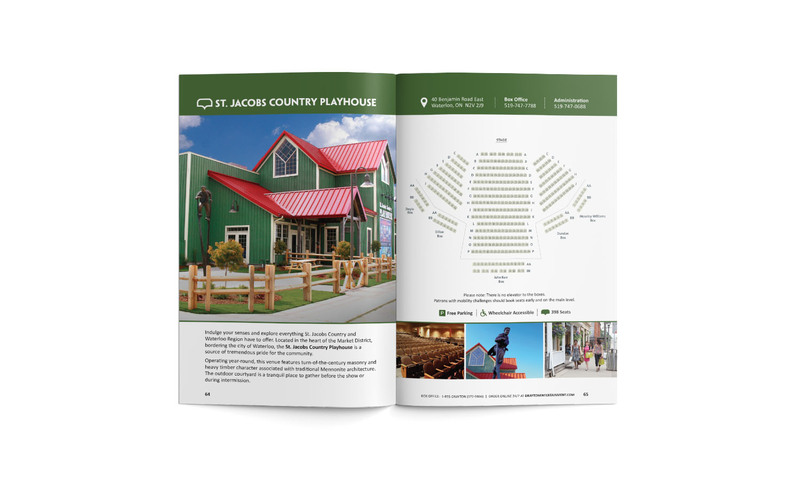 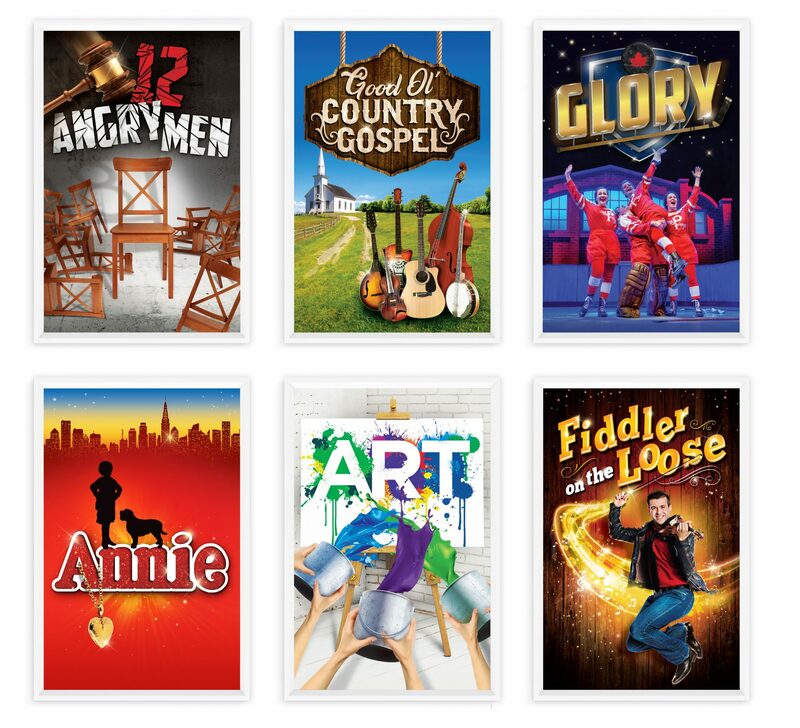 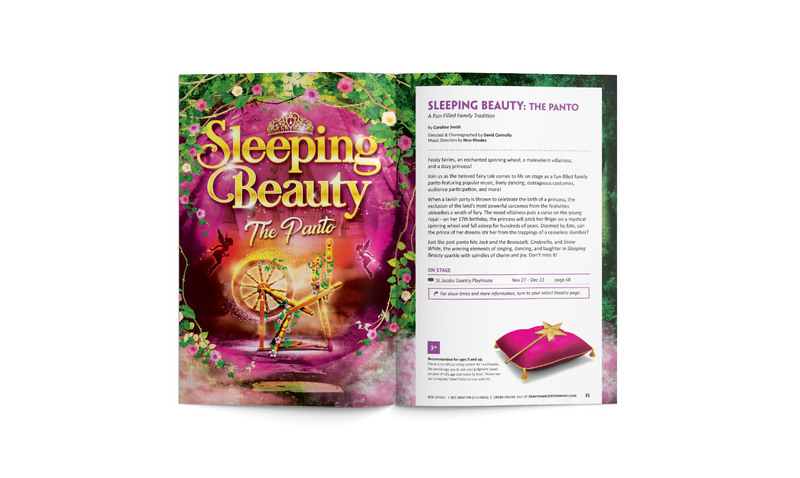 Easy navigation and hierarchy allows the reader to quickly get show information, ticket pricing and theater locations. 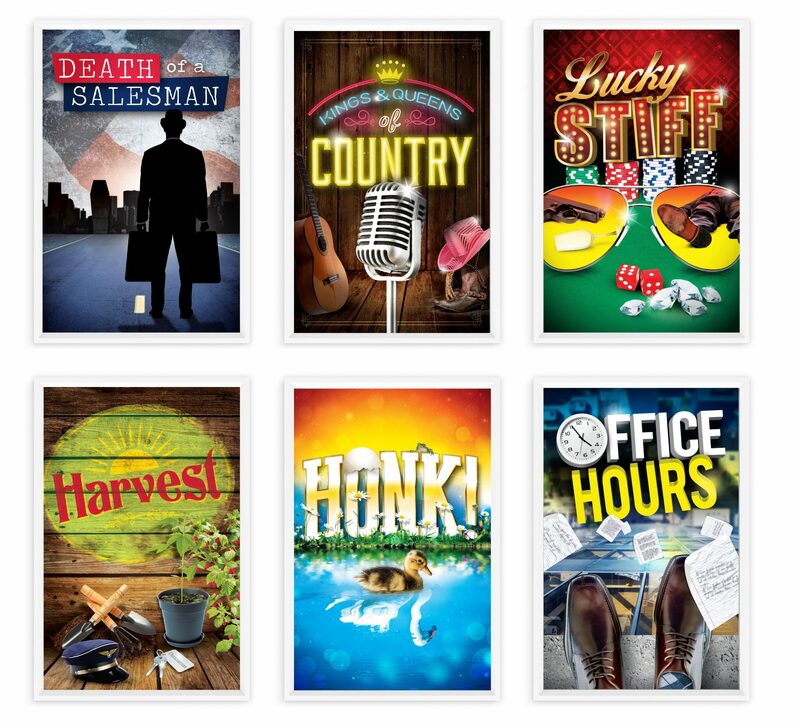 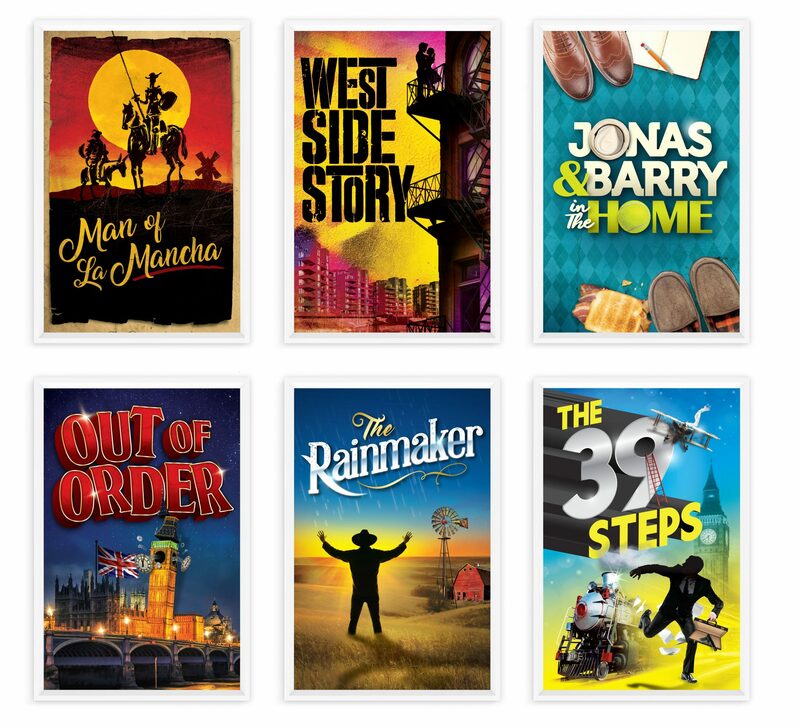 The show poster designs capture the spirit of each play and create unique word-marks that can be used across all promotions.